Yes, the concerts went well and the CDs arrived in plenty of time. The new ones looked really great, too! So much so, on the next run I want to re-visit the artwork on the “Born For You” one in terms of contrasts and color. “On This Day” looks VERY much like the original. Please tell Maggy what a good job she did. Speak with you soon, and thanks for caring so much and making everything go right. Thank you so much for the great service you provided in the making of our CD. We are so happy with both the work your company did and the friendly informative way in which we were treated. These days it’s not so often we run into companies that are willing to help and also try to please the customers so much. – R.C.H. Total Tape Services has provided multimedia services to individuals, churches and businesses in Tampa Bay and across the nation since the early '90s. We reproduce your CDs or videos for corporate training, educational sales, fund-raising, college recruitment, auditions or retail sales. The end product ranges from just bulk CDs or DVDs without any packaging to a fully packaged product with a booklet insert, traycard, jewel case, shrinkwrap and barcode. 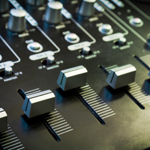 With our audio mastering services, our mastering engineers will take your CD and bring it up to retail-ready quality or create your new master from scratch in our recording studio. Studio musicians are available to back up your recording with drums, guitar, keyboard or bass. 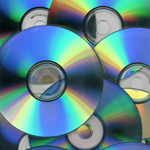 We take most types of old media and convert it to state-of-the-art CDs and DVDs. This is perfect for preserving your memories for generations to come or for bringing your promotional materials on VHS or audio cassette up to modern standards. Then make use of our CD/DVD duplicating and replicating to get your promotional materials into a professional format for bulk distribution. 1/4 reel to reel audio to CD or MP3, and more!! Call or email our friendly staff now to find out more at 727-799-3100. © 2010 Total Tape Services, Inc.